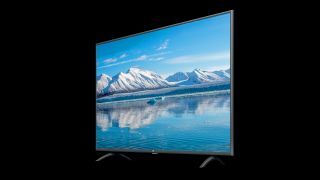 Xiaomi has unveiled its first TV models in India this year. The newly-launched TVs include the rumored Mi TV 4X Pro 55-inch and Mi TV 4A Pro 43-inch. Additionally, the company has unveiled its Mi Soundbar alongside the TVs. The new TVs are powered by Amlogic 960X chipset with Mali-450 GPU and Xiaomi’s Patchwall interface with Android TV doubling as an alternate interface. Meaning, users who find Android TV OS more suitable can switch over from the Patchwall on click of a button. Exactly what we reported earlier. The Mi TV 4X Pro has 2GB RAM and 8GB storage, while the Mi TV 4A 43-inch packs 1GB RAM and 8GB storage. Apart from the RAM and screen size, the bigger Mi TV 4X Pro also has a higher 4K resolution on a 10-bit panel while the 43-inch 4A offers 1080p resolution with an 8-bit panel. The company has officially shut rumors about a 65-inch Mi TV debuting and India for now. The bigger TV, however, brings several new features this time and it shares most of them with the Mi TV 4A as well. Both have a 20W stereo speaker with DTS-HD surround sound support for high-quality sound output, thin bezels on all sides with a metallic finish touted as Piano Black. Both the TVs come with a Bluetooth remote having a mic integrated for Google Assistant voice commands. Moreover, the TVs have built-in Chromecast functionality with the PatchWall OS featuring 700,000+ hours of content from over 14 different partners. Some of the known partners include Hotstar, Hungama, Sony, Liv, Voot, Hooq, Zee5 and more. The Mi TV 4X pro differentiates itself from the smaller 43-inch model in a few areas. First, it has a 55-inch 4K UHD panel with 10-bit color depth and HDR 10 support. Second is the RAM size, where the 55-inch model has 2GB and 43-inch still runs with 1GB RAM. Both have connectivity options like Wi-Fi 802.11 b/g/n (2.4GHz/5GHz), Bluetooth v4.2, three HDMI ports, two USB ports, one S/PDIF port, and one Ethernet port as well. Only the 3.5mm jack is exclusive to the Mi TV 4A Pro. The Mi TV 4X Pro 55-inch is priced at Rs 39,999 and the Mi TV 4A Pro 43-inch is priced at Rs 22,999. Both the TVs will be available on Flipkart, Mi.com and Mi Home stores starting from January 15, 12 noon IST. The Mi Soundbar is priced at Rs 4,999 and will go on sale starting January 16 on Mi.com and Mi Home stores.